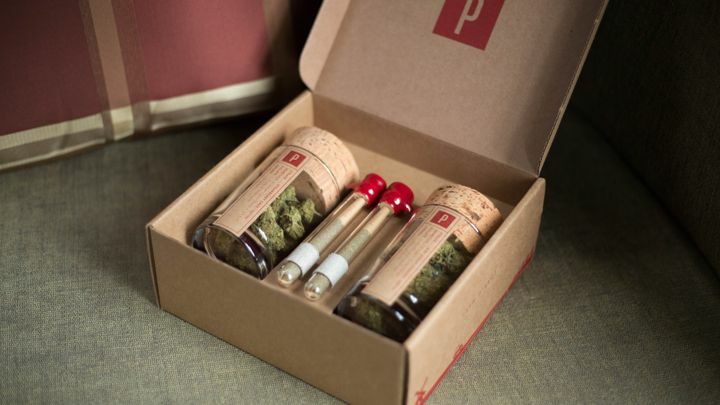 Potbox: A premium marijuana delivery subscription?! You have to take a look at this! Say hello to Potbox, California’s latest monthly subscription: top shelf medical marijuana on your doorstep. This is luxury! California is having all of the fun these days. As the first state to establish a successful medical marijuana industry, they have reached a high level of proficiency. This maturity of course includes cannabis delivery. However, they don’t just deliver meds in California — they serve you delight to your doorstep. Potbox is one example of these swanky services, gifting top-shelf herbal remedies to subscribing patients in sweet little boxes designed with love. Not in California? We feel your pain — better light a bowl to ease it, filled with herb that did not come out of a Potbox.